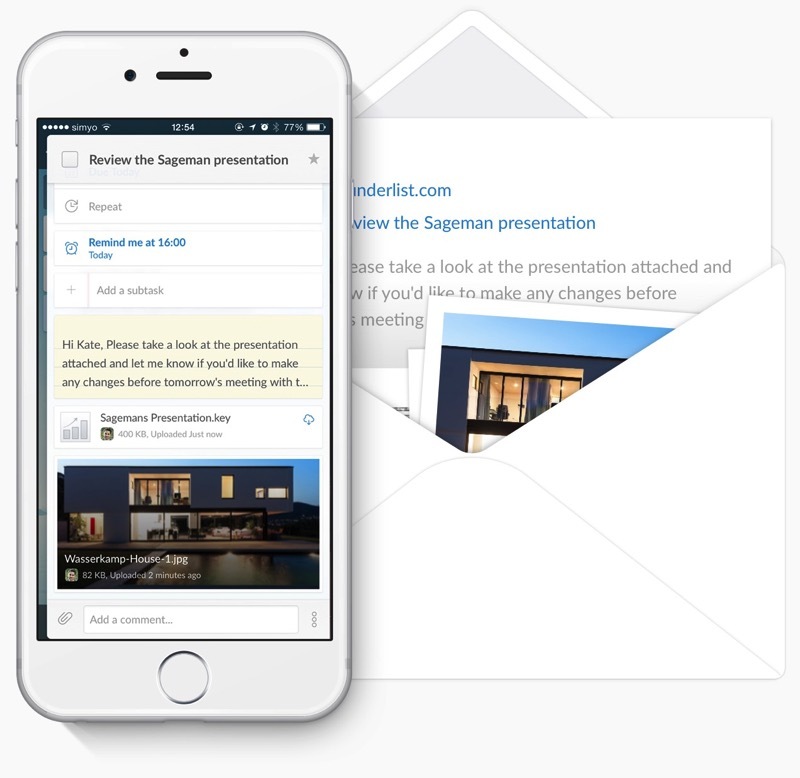 Wunderlist today has announced a new feature to allow users to send emails and attachments right into to-do lists. The new Mail to Wunderlist feature works with your connected email account—all you have to do is forward your emails to me@wunderlist and it’ll turn them into a to-do. Pro Tip:Before you forward your email, add an asterisk at the start of the subject line to Star the to-do. Multiple email support is coming for Mail to Wunderlist so you can use all your email addresses to create to-do lists, not just the one associated with the app. Wunderlist is free (there’s also a paid Pro version) and is available for a variety of platforms such as iOS, Mac and the web. It’s pretty awesome and we highly recommend it for sharing lists (groceries anyone?). This is a great new feature. Click here to download Wunderlist for iOS in the App Store. What’s your to-do list of choice?